Junior catcher Cheyenne Thompson throws down to second before the start of an inning. Butler will travel to DePaul for a three-game series on April 28-29. Jimmy Lafakis/Collegian file photo. The Butler University softball team defeated Indiana University – Purdue University Indianapolis 7-3 in their home finale on April 25. The Bulldogs have now won seven of their last eight games and are 20-22 on the season while remaining 7-5 in Big East play. The two teams swapped single runs in the first two inning, with IUPUI scoring on a sacrifice fly in the first and Butler scoring on an error in the second. The Jaguars scored again on a wild pitch in the third inning, but the Bulldogs took a one-run lead with two runs in the bottom of the frame. Sophomore outfielder Payton Longest drove in a run on an infield single, and freshman infielder Claire Gilliland reached on a fielding error as another Butler run came in. In the bottom of the fifth inning, Butler added to its lead with another two-run frame. Gilliland singled in Longest and sophomore outfielder Alyssa Garcia picked up an RBI on a fielder’s choice bunt play. The Jaguars chipped into Butler’s lead with a single run in the top of the sixth inning, but the Bulldogs added two runs in the bottom of the sixth to secure a 7-3 victory. 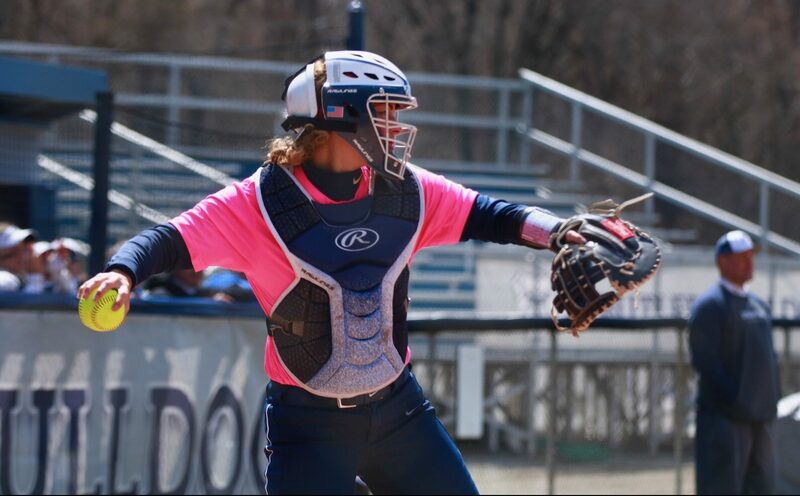 In the seventh, junior catcher Sammy Andersen drove in a run with an RBI double and junior outfielder Jenna Foreman reached on IUPUI’s third error as a Butler run scored. Freshman Alyssa Graves made the start on the mound for the Butler, throwing 2 ⅓ innings while giving up two earned runs on one hit, one walk, and four strikeouts. Junior Kaitlin Doud came on in relief and kept the Jaguars off the board for 2 ⅔ frames, and sophomore Gabbi Schnaiter allowed one earned run over the final two innings. The Bulldogs will return to action with a three-game weekend series at DePaul University from April 28-29.